In January 2018, the UN Security Council released a report on Yemen, noting that “Yemen, as a State, has all but ceased to exist.” Instead, there are “warring statelets” without enough political or military strength to reunite the country. The United Nations warned this week that half of Yemen’s population will soon rely entirely on humanitarian aid to survive. UN aid chief Mark Lowcock warned that “There is now a clear and present danger of an imminent and great big famine engulfing Yemen.” To give perspective on the magnitude of the situation in Yemen, only two famines have been declared in the past 20 years: Somalia in 2011 and a localized famine in South Sudan last year. The famine is not due to lack of resources. Rather, it is primarily an economic problem caused by the Saudi-led coalition and its Yemeni allies’ economic measures targeted at the Houthi rebels who control northern Yemen. But the brunt of the burden has fallen on Yemeni civilians. The measures have resulted in destroyed infrastructure, lost jobs, a weakening currency, and rampant inflation. 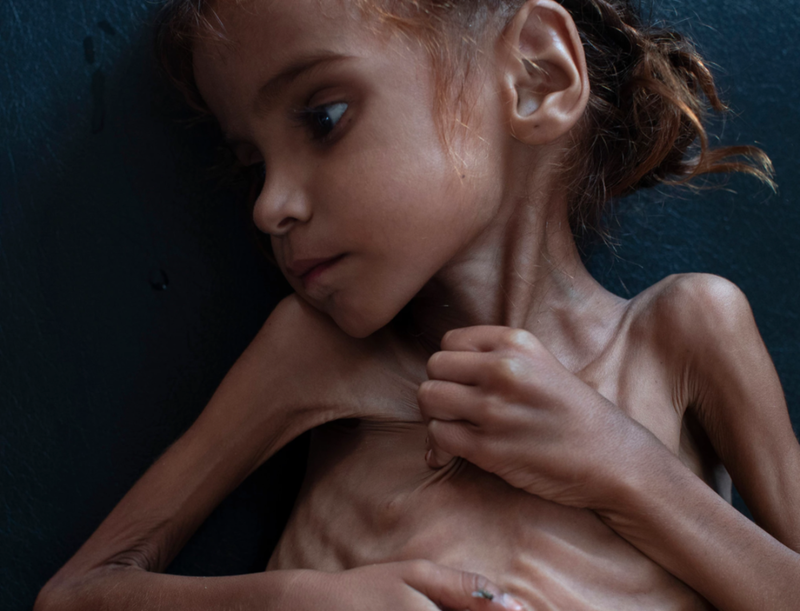 Of nearly two million malnourished Yemeni children, 400,000 are considered critically ill and the situation continues to deteriorate. The promulgation of war is helping extremist groups such as al Qaeda and the Islamic State while Yemeni civilians face intense famine and airstrikes carried out by countries claiming to maintain regional peace. Yemenis deserve an end to conflict that will only come when the U.S. ceases funding the Saudi government’s weapons and becomes willing to address the human rights abuses and humanitarian crisis that they have contributed to. Dr. Mekkia Mahdi who works at a health clinic in Aslam, a town in northwest Yemen, expressed her distress: “We’re surprised the Khashoggi case is getting so much attention while millions of Yemeni children are suffering. Nobody gives a damn about them.” It’s time to start caring about Yemeni lives. In the wake of Khashoggi’s death, now is a key time to capitalize on attention given to Saudi Arabia and change the course of the war in Yemen.